Don’t get rid of that old bedroom cabinet just yet. No, you shouldn’t give away your worn-down dining table either. For they have the potential to become the ideal materials for your next home renovation. Instead of spending more money on mass-produced furniture and home décor products, you can create a unique and stylish look for your residence that no one can emulate. Best of all, you can accomplish all these without burning a hole in your budget! All you have to do is upcycle your old, unwanted belongings. If you are unfamiliar with upcycling, here’s a helpful explanation from Oxford Dictionaries: “Reuse (discarded objects or material) in such a way as to create a product of higher quality or value than the original.” That’s right. Used furniture and items can be repurposed and transformed into exquisite home décor elements. Over the past decade, upcycling has become popular in the US and Europe. Etsy.com, a New York-based online marketplace for handcrafted products, currently features 184,937 products that are tagged with the word “upcycled”. It’s not the only online platform that trades in upcycled goods. You can find thousands of different upcycled products, including upcycled furniture, at many other digital retailers, as well as brick-and-mortar stores in western countries. Although most Malaysians and Singaporeans are still unfamiliar with upcycling, it is a growing trend. There are now local professional furniture upcyclers who can transform your old furniture into new works of art. One of them is Imran Zainal, a furniture upcycler and interior designer who was inspired by the upcycling movement during a trip to the UK. “I found out about furniture upcycling in the UK. People like to DIY (do-it-yourself). It’s very popular to do up your old furniture. The idea of taking little pieces of furniture, and then refurbishing, upcycling, and modernising it, is generally accepted in the UK. “I wondered: how come it’s not available in Kuala Lumpur? I started dabbling in upcycling furniture then. I bought second-hand furniture, painted them myself, and they sold,” Imran said. 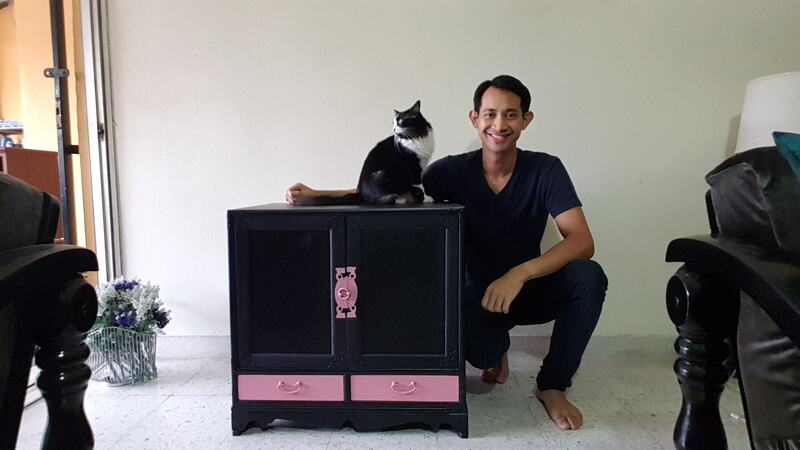 Since starting a furniture upcycling business known as Imran’s Ark in 2016, Imran has been commissioned by customers to refurbish their living rooms, kitchens, coffee tables, cabinets and other types of furniture. His work has received plenty of accolades on Facebook and Instagram. It’s easy to recognise the key reasons behind this growing popularity. Giving your old coffee table several coats of paint, numerous enhancements and a chic, fresh look is more affordable compared to purchasing a mass-produced piece from the furniture store. Upcycling tools and materials like brushes, paint, paint thinner and masking tape can also be easily purchased at your local hardware stores. 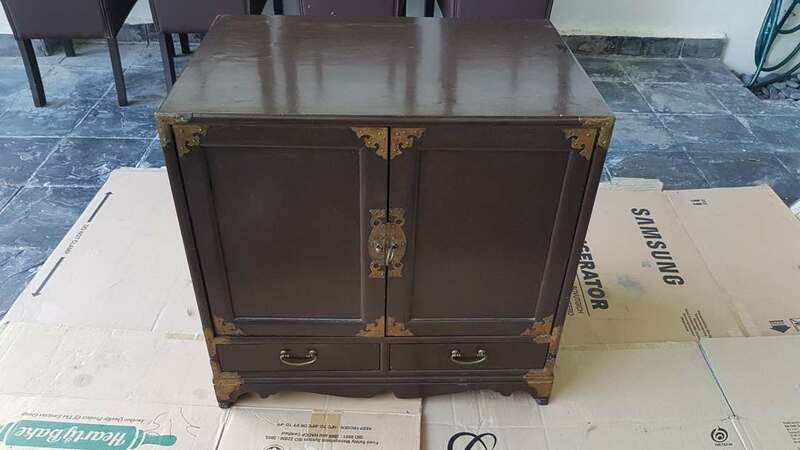 Even engaging a professional upcycler to repurpose your used furniture into a masterpiece will most likely cost less than acquiring a high-end piece from a retailer. 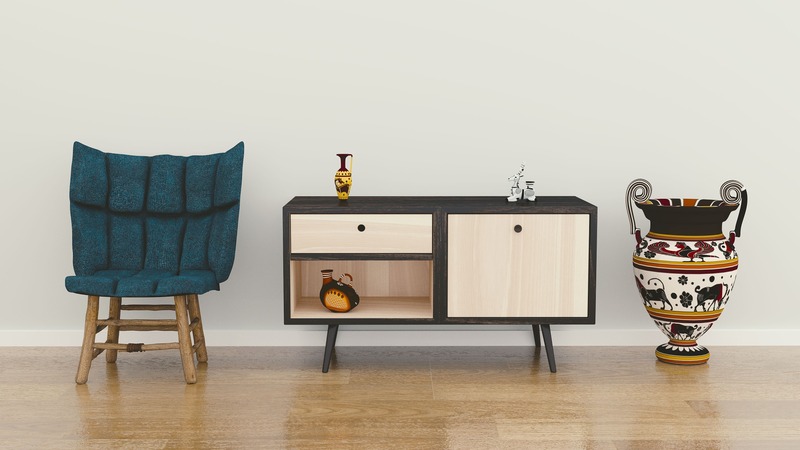 According to Imran, every piece of upcycled furniture is unique and individualised. “When you go to a regular furniture shop, you and I could end up buying the same coffee table. People could end up having the same furniture in their homes. But with upcycling, no two pieces are exactly alike. “The customers would commission me to design according to the design they want, and the colours that they choose,” he explained. “When a person goes out to buy a new piece of furniture, one tree is cut. When you have 100 customers, more trees are cut. “So when a customer buys upcycled furniture, one tree fewer is cut. 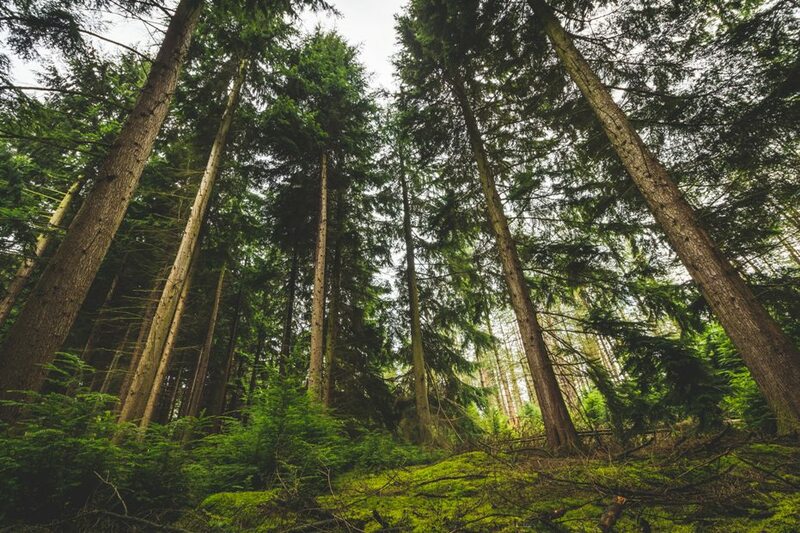 It’s actually good for the environment as well,” he explained. As you can see, upcycling actually produces more than just quirky and cute designs. Even at the top end of the market, designers are incorporating beautifully made upcycled pieces into their work. Internationally renowned brands have begun to embrace upcycling. 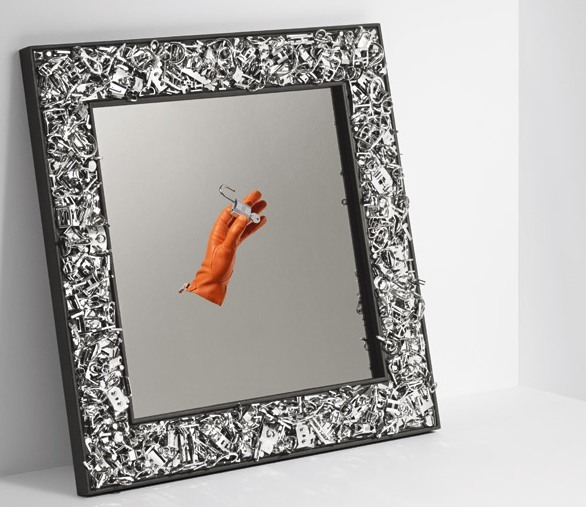 One brand in particular, Hermès, has launched its very own upcycled collection, which is known as Petit h. Since 2010, Petit h has amazed Hermès enthusiasts with its exquisite yet practical items such as mirror frames, laptop bags and cupholders. Every Petit h item is made out of discarded materials from the Hermès workshops. So besides representing a part of your character and personality, an upcycled project can become a luxurious, high-end product as well. Choosing the right piece to upcycle is fun and exciting. Let you imagination run wild as you consider the potential of every object at home, the used furniture store and even eBay. With practise, you’ll eventually be able to see ordinary objects in a different light and realise their full potential. Only then will you see how a door can become a shelf and how an old ladder can be repurposed to display plants. Take your time. The possibilities are endless. There are a variety of paint colours and fabrics to choose from. From rustic charm to urban modern, you can select the ideal style that will bring out the best in your upcycling project. Should you use a single block colour, or complement your furniture with a two tone effect? Once again, take all the time you need. For further inspiration, you can have a closer look at your favourite upcycled masterpieces online. The photo-sharing social media platform, Pinterest, is a good place to start. Follow your heart. May you choose sensibly. Just know that elegance lies in simplicity. From the furnishing process to the paint colour and accessory selections, these professional upcyclers possess the required technical expertise and they can transform your vision into reality. 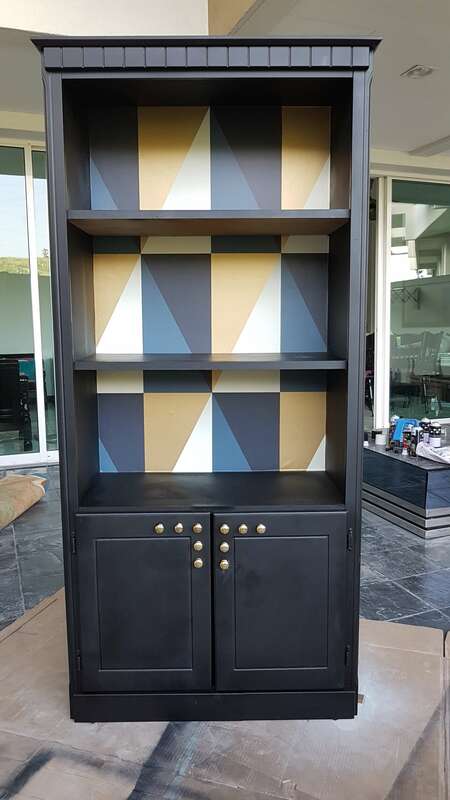 Upcycling specialists like Imran Zainal can be located via Google search or your social media search engine. For more information about professional furniture upcycling, please check out our previous article. Inspired? If you are ready to start your upcycling project, we wish you all the best. Remember to have fun!